November is Picture Book Month! 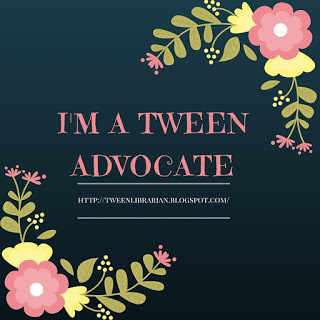 To celebrate, throughout the month I will be sharing about picture books! About the Book: Buddy is a monster who wants to eat some bunnies. But these are smart bunnies who know just how to escape being monster dinner. GreenBeanTeenQueen Says: Ok, so I will probably say that anything Bob Shea writes is wonderful and hilarious. But trust me, Don't Play With Your Food is wonderful and hilarious! 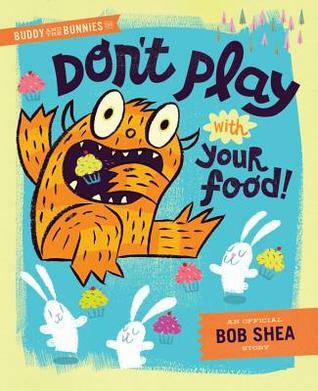 Bob Shea masters writing humor that is appealing to kids and adults and I think he hits the perfect balance with this book. The bunnies are clever and adults will catch on quickly to the bunnies tactics. Kids might be a bit slower to understand exactly what the bunnies have in mind, but they will soon figure it out and be laughing along with the bunnies as they district Buddy with their plans. Bob Shea also includes lots of clever jokes in the illustrations. It took me a few times reading it to notice the bunnies multiplying throughout each day. It's a small joke that works masterfully in the story. Don't Play With Your Food is an absolute treat to read aloud. I've used it in storytime multiple times and each time it's a big hit. I love that you can create different voices for the characters. It also works well as a partner reading. I used this with a co-worker on an outreach event and one person played Buddy and one person played the bunnies. It was lots of fun to pair up. I think it could also be a fun speech or reader's theater piece for older students. Add this one to your storytime and personal collection now if you want to be laughing out loud! It never fails-I crack up every time I read it! I've used this one in storytime, too. I always ask kids to count how many bunnies there are and to keep track of whether that count changes. It's a big hit! That's a great idea! I love this one and the kids and parents have seemed to enjoy it too!